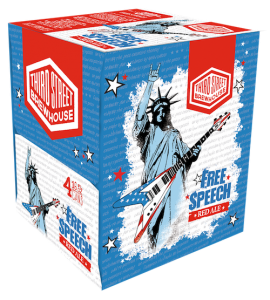 COLD SPRING, MN – Third Street Brewhouse (Third Street), is pleased to announce the release of their latest year-round brew, Free Speech Red Ale – available to purchase in 4-pack, 16-oz cans, starting mid-March. With 5.5% alcohol, nutty roasted malts, moderate hop character and a caramel fringe, Free Speech Red Ale is a powerful blend of flavors. Just like the good old U.S. of A. Free Speech Red Ale was launched last July under a partnership between Third Street Brewhouse and Rockin’ 101’s “Steel Toe Morning Show.” The station prides itself on being a platform for free speech and encourages listeners and beer fans to raise a glass of the red ale to the First Amendment and individual liberty. Along with their specialty and seasonal ales, Third Street has four popular signature brews on tap and in cans: Minnesota Gold Lager, Minnesota Gold Light, Hop Lift IPA, Three Way Pale Ale and Lost Trout Brown Ale. Third Street brewers have found Free Speech to go well with barbeque, roasted vegetables and strong cheeses like sharp cheddars or feta. So no matter where you stand on the political spectrum, we can all agree on this: freedom of speech is as American as apple pie and the fourth of July. So relax. Do your own thing. Crack open a cold one and raise it to your individual liberty. 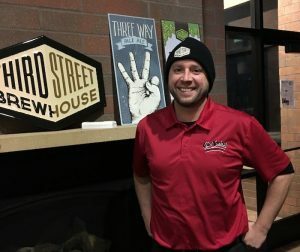 COLD SPRING, MN – Cold Spring Brewing Company (CSBC), the #1 producer of exclusive beer and craft beer brands for major retailers throughout the world, announced the promotion of Aaron Kleinschmidt as Production Manager. Before being promoted to Production Manager in March 2016, Kleinschmidt worked alongside the production and maintenance teams. In his current role as Production Manager, Kleinschmidt oversees a team of nearly 55 employees, ensuring all production operations run smoothly from start to finish. Starting with receiving the cans and materials from the distribution centers, to filling, packaging and shipping the product back to the distribution centers. 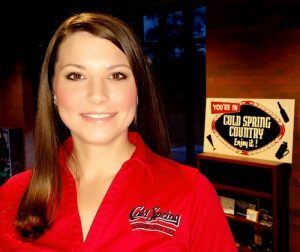 COLD SPRING, MN – Cold Spring Brewing Company (CSBC), the #1 producer of exclusive beer and craft beer brands for major retailers throughout the world, announced Robin Vettleson as Warehouse Manager. Vettleson, who was hired to the team last December, brings strong leadership skills for team building and strategic solutions to help exceed company goals. Prior to joining CSBC, Vettleson held multiple positions in inventory and operations management at Best Buy headquarters in Richfield, MN, and most recently as Inventory Manager at Viking Coca-Cola Bottling Company in St. Cloud, MN. In addition to her impressive work background, Vettleson also holds a Bachelor of Arts in biology from Concordia College, as well as an MBA in management from the University of St. Thomas.